Janet Craig Dracaena (Dracaena deremensis) which originated in tropical Africa is among the hardiest of houseplants. 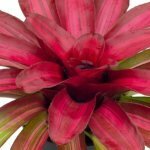 It is an easy-care plant and adapts well to harsh conditions such as low light, dry air, and infrequent watering--making it an excellent choice for indoors. It has long, brilliant green leaves which grow along a central stem and arch downward. Dracaena deremensis can grow to a height of 4 to 6 feet. For a dramatic decorative accent, group several plants together of different heights and leafy clusters and place on a special plant stand. benzene and formaldehyde, xylene, and tricholroethylene. As many of the items that we use every day such as plastic wallpaper, insulation, veneer furniture, cleaning supplies, and air fresheners contain volatile organic chemicals (VOCs). VOCs are synthetic materials that "off-gas" toxins which can pollute the air enough to irritate your respiratory tract and cause headaches, sinus congestion, and fatigue. You cannot avoid VOCs because they are found in such a wide variety of the products in our indoor environment; however, you can take steps to make your air healthier by having this plant in your home. Place 2 mature specimen plants in a 100 sq ft room to remove toxins from the air where you spend time. This plant not only removes the toxins, but it adds oxygen to the air you breathe. Light: Low light (minimum light to read by), but leaves grow larger and the stems stouter with bright light. Watering: water thoroughly, then allow the soil to drain and empty excess water; then allow the top one inch of soil to dry slightly to touch between waterings. A well-draining potting mixture should be used. This is necessary to prevent root rot which can kill your plant. Use non-fluoridated water as they are sensitive to fluoride. Humidity: The plant likes average humidity. Mist daily or place on humidity tray. A room humidifier will provide constant air moisture for this plant when heating and air-conditioning systems are used. Keeping plant in low humidity for extended time will result in brown leaf tips. Temperature: Keep above 50ºF if possible. They do best in the mid-70ºs to low 80ºs. Fertilizer: Feed every month during the growing season with a slow-release fertilizer or use a balanced liquid fertilizer at half-strength . Propagation: Plant roots readily from tip cuttings or stem segments. Push tip cuttings into warm soil and keep moist. Repotting: Repot if plant becomes too large for pot. 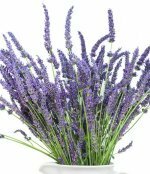 Use Loose, well-drained sterilized potting mix. Janet Craig Dracaena is classified as toxic to dogs and cats by the ASPCA's Poison Control Center. Keep out reach of children and pets.